Many brands like Hello Kitty have proven very popular in Japan, and aesthetically I think many of these brands share similarities with Hello Kitty and the views and values she promotes. In particular I think the growth of Blythe dolls is very interesting and with my future research I believe they will hold the same stigmas too many as the Hello Kitty brand does. Born in 1972 and manufactured by Kenner Blythe Dolls weren’t popular because of their large heads and their eyes were seen as scary to children, production of the dolls ceased in the same year. 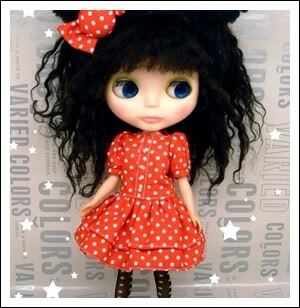 Blythe Dolls remained under the radar until the late 90’s when Gina Garan a doll collector was introduced to them when a friend showed her a listing on eBay. Gina began her collection and started taking pictures of the dolls in different situations and locations using an old SLR camera. During this time Gina contacted Hasbro regarding using photos of the dolls. Hasbro who had bought Kenner in the 70’s, had no knowledge of Blythe dolls and had to look into the collection they had taken over from Kenner in the 70’s. Gina a producer and her agent Junko Wong pitched a special Christmas advert to the well known Japanese Department store Parco.The Christmas advert featured a Blythe Doll within a snow globe, the commercial was produced in 2000, airing the same year as Gina’s book “This is Blythe” featuring a selection of her photos. The advert was a huge success with lots of people asking about the dolls. The following year Blythedoll.com the official website was launched, and Gina held her first exhibition “Blythe by Gina Garan” was held in the Shibuya Parco store. CWC a company headed up by Junko Wong joined forces with Takara to produce the Neo Blythe a Parco Limited Edition Doll, with fans lining up a day before the exhibition opened the dolls sold out in less than an hour and started the commercial revival of Blythe. Starting in2002 and for 12 months a special monthly picture featured in Vogue Nippon, one of Japans most popular magazines. 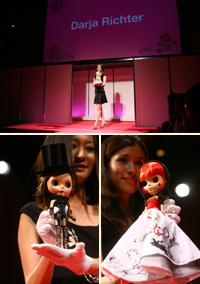 Every year there is an Annual Blythe Charity Fashion Show in Tokyo, where leading designers from around the wor ld create tiny versions of their outfits of Blythe to wear as she is carried down the runway by white-glove-wearing models. Designers such as Vivienne Westwood, Prada, Gucci, John Galliano, Issey Miyake and many more have all supplied designs. 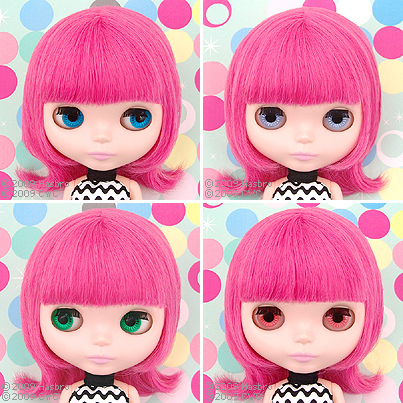 Since then Blythe dolls have grown from strength to strength, often prices doubling as the dolls are made in limited numbers. 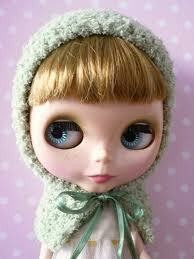 Accessories such as doll clothing, bespoke dolls and stationery have also become very popular. This entry was posted in Blythe and tagged Blythe Dolls, Brand meanings, Business, Dolls, Hasbo, hello kitty, History of Blythe, japan, Parco. Bookmark the permalink. News Articles 2011: Kiss to Team up with Hello Kitty?